Almost 2 weeks after I launched PROJO – the project journal – for pre-sales on Kickstarter, it’s time for an update! THANK YOU for all your orders and social media shares! Thanks to you, we’ve reached over than 200% of the funding goal… Which is actually totally crazy! Since the launch of PROJO, I regularly receive messages with questions about the product or the overall project. So I decided to share the most frequent of them here, and to answer your questions with the hope that it will help you better understand how PROJO works and how it could help you! Now let’s start answering your questions about PROJO! How is PROJO better than the Soumkine x Minimal.Plan planner? In my opinion, there isn’t one better than the other. The Soumkine x Minimal.Plan is less project oriented, and offers a lighter structure. The content of the guide that comes with it is really inspirational. 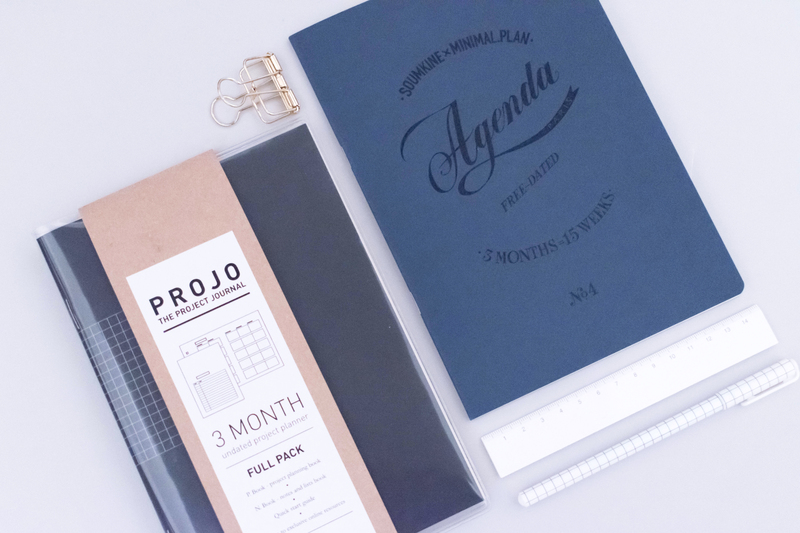 It’s perfect if you’ve already master the art of managing multiple projects at the same time. 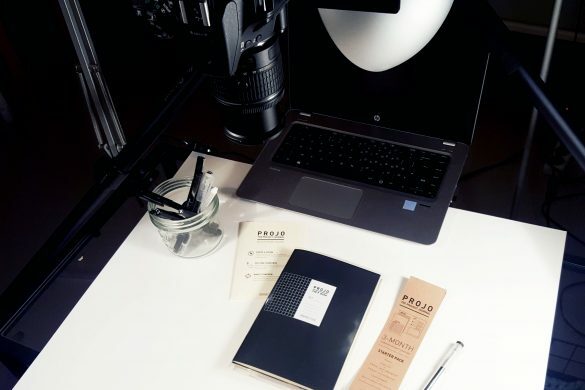 The PROJO is more for people who have a lot of things they’d like to do in mind, but who are still struggling to take the first step or stay consistent in making progress on their goals. It provides more help to set your goals, break them down into project and eventually get to work on them! They’re just 2 different planning tools that serve 2 different purposes. What’s the difference between the PROJO and a regular planner? I designed the PROJO so that it can store all your thoughts, lists and plans. 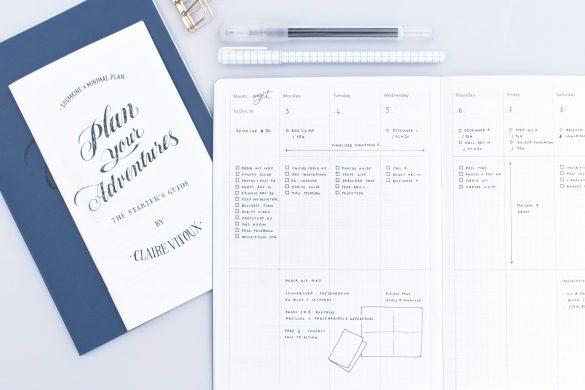 Just like a bullet journal would do it, but with just what it takes of structure to guide you through the process of setting goals and planning projects. 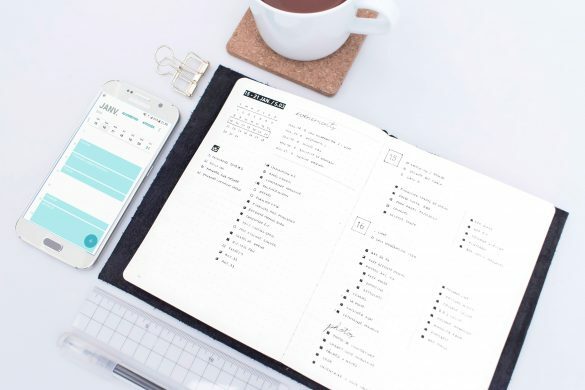 The P. Book (project book) features all the planning pages and loads of room to hold your monthly and weekly task lists. 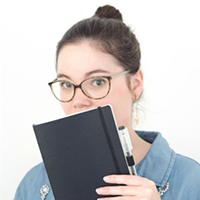 The N. Book (notes book) is here to store all your notes, ideas, thoughts and sketches (and more lists – we never have too many of them right?). and a clear cover to hold the books together. This way, if your P. Book is finished but you want to keep what’s in your N. Book on hand, you just need to change half of your system. And vice versa: if you’re running out of pages in the N. Book but still need the planning pages of the P. Book, you just change this one. 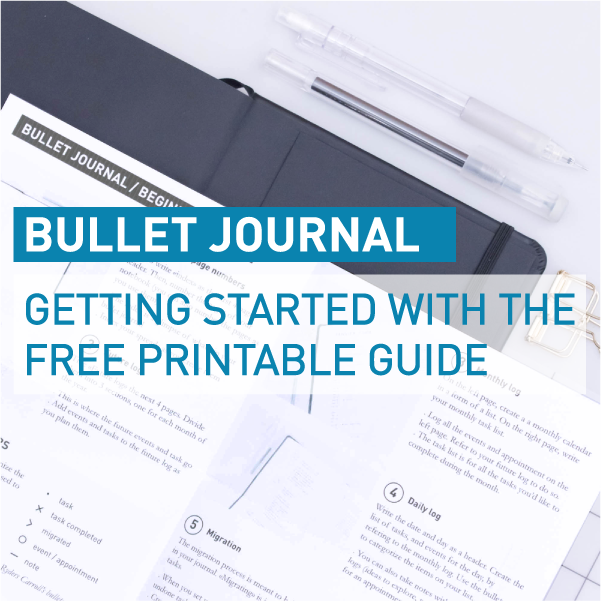 You can also just get the P. Book and combine it with your bullet journal to help you keep your projects on track. That’s the beauty of it: the design of the PROJO makes it easy to adapt the system to your needs! Why does the PROJO only cover 3 months? Isn’t it a bit short for a planning tool? What is the difference between the P. Book and the N. Book? The P. book is the project planning book. 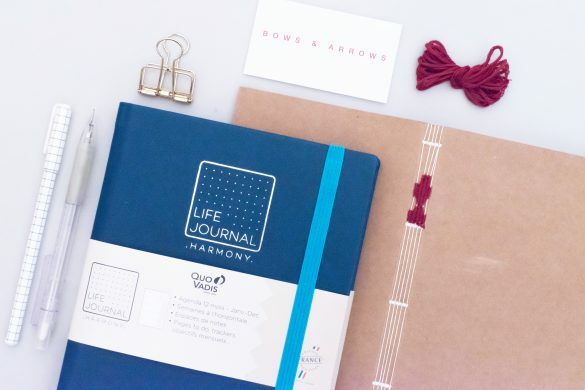 It features all the planning layouts that will help you get organized to reach your goals while managing your everyday life. 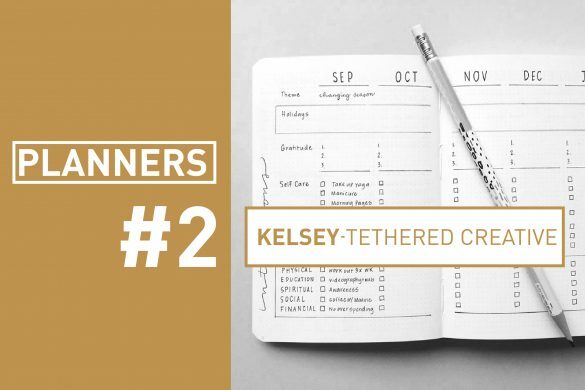 This includes : the Vision board, the Goals Roadmap, the Project Timeline, 3 monthly layouts and reflection pages and 15 weekly pages, plus a quarterly reflection page. 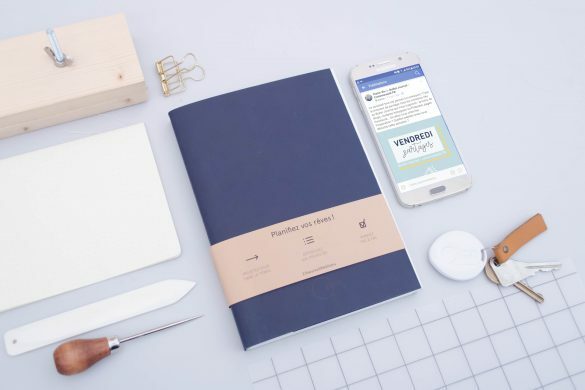 The N. Book is a notes book. It’s actually pretty simple. It features an index and 60 dotted numbered pages without any layout. 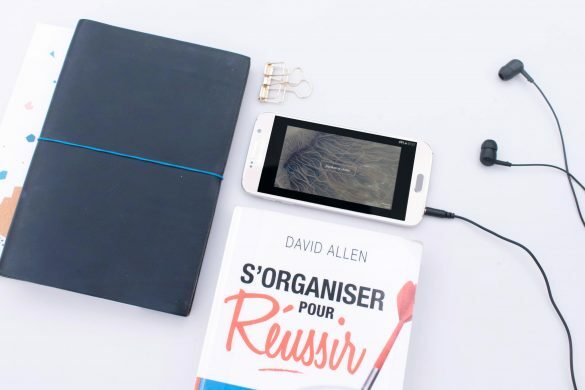 It’s meant to help you document your ideas, notes and lists and to give you space to unleash your creativity while the P. Book helps you to plan your ideas. On the left, the N. Book (notes book) and its dotted numbered pages. On the right, the P. Book (projects book) and its planning layouts. Is PROJO based on a specific Project Management theory? PROJO is all about Project management (PM for short) basics. 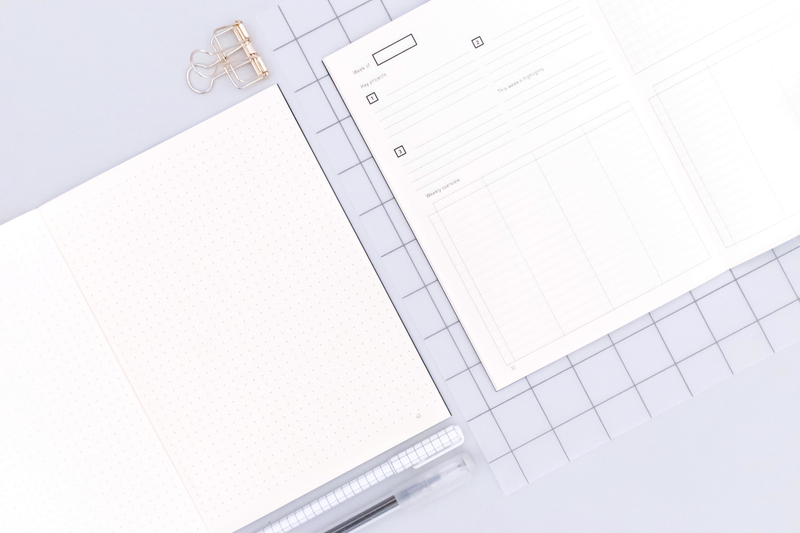 It doesn’t rely on a specific PM theory, but features all the elements needed to manage a project: layouts to plan it, document it and assess progress regularly. Of course, you can use PROJO if your an expert in PM, but PROJO is meant to fit anyone needs, even though you haven’t heard or read anything about project management in your entire life. 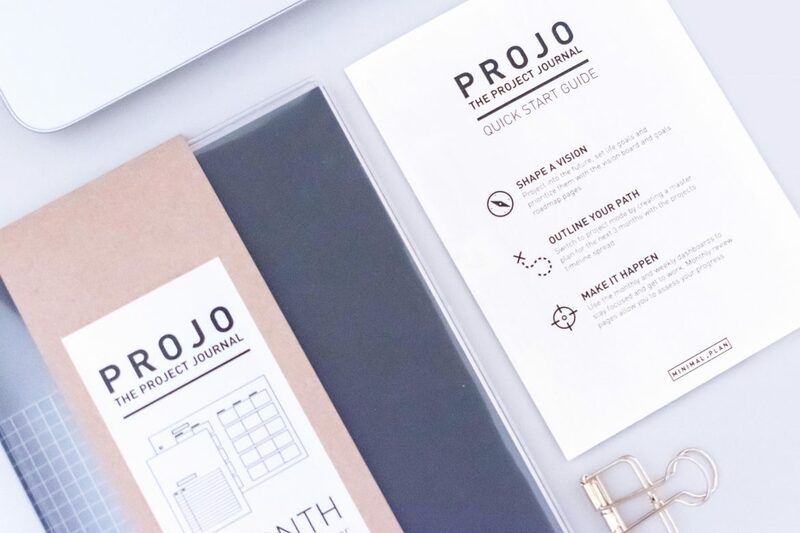 The layouts, the quick start guide and the online resources are here to help you understand the basics of project management and use PROJO at its best! even though you’re not an expert in project management! 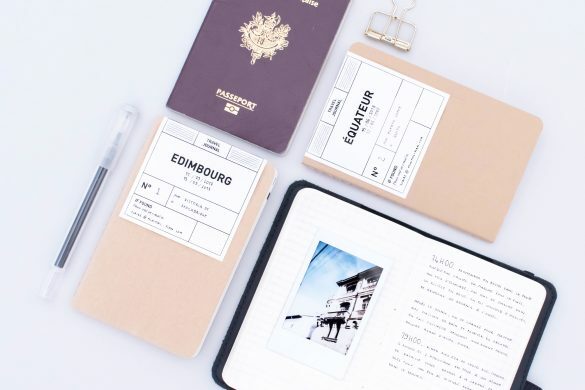 Est-ce que PROJO est basé sur une méthode de Project Management spécifique ? PROJO propose un cadre d’organisation qui reprend les bases de la gestion de projet (ou project management). Le système ne suit pas une méthode de gestion de projets en particulier, mais reprend les éléments de base qui vous permettront d’organiser vos projets : des pages pour définir vos objectifs et planifier vos actions, pour les documenter quotidiennement et des pages de bilan pour mesurer vos progrès régulièrement. Bien sûr, vous pouvez utiliser PROJO si vous êtes déjà un.e expert.e de la gestion de projet. Mais PROJO est fait pour répondre aux besoins de tous et toutes, même si vous n’avez aucune connaissance en gestion de projets. Les mises en pages simples et claires, le guide méthodologique de démarrage et les ressources en ligne vous permettront de facilement comprendre le fonctionnement du système et d’exploiter PROJO au maximum ! Do you intend to design other versions of the P. Book (project book)? A lot of you reached out to me, expressing their specific needs. I love to receive your feedback and ideas! I intend to process all these messages from the PROJO users to improve the system, one step at a time. The first users tests I did in August and September already helped me to make the first version better, and proved that your opinion is very precious to help me design a planning system that will answer a large variety of needs. The P. Book and N. Book are actually just the first step! I already have plenty of ideas to create new books and resources that will help you plan your projects and get your everyday life organized. I also want to offer some accessories (leather covers, pencil cases…) that will be specifically designed to go along with your PROJO books. Stay tuned for more infos about updates soon! And if you want to be part of the decisions I make about new planning resources to come, join the Planners Secret Society. I always try to involve the blog’s subscribers to any big decision I make! Among the exclusive printables from the pre-sales campaign, a 2019 wall calendar. Why should I pre-order PROJO before the opening of the e-shop? I’d say that there’s 3 reasons why you should pre-order PROJO if you’re interested in this new tool. 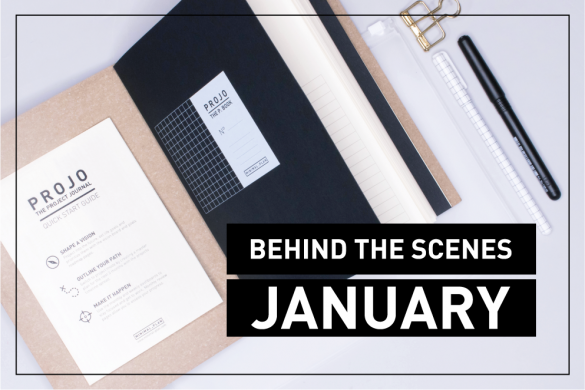 If you pre-order PROJO now on Kickstarter, you’ll get, in addition to the planner, exclusive planning resources and other great rewards that will only be available during the campaign. They will NOT be available in the PROJO resources center later. 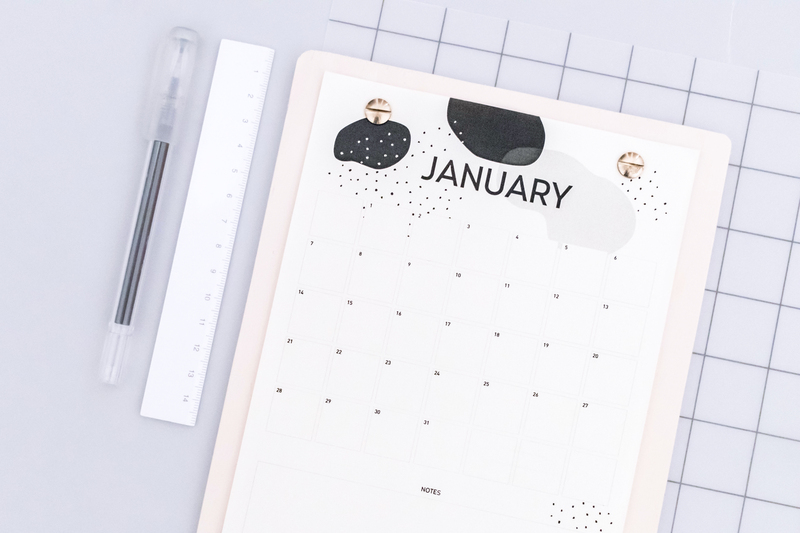 So if you’d like to get your hand on beautiful printables such as a 2019 wall calendar or project management worksheets, it’s now or never! All the orders made via Kickstarter will go out in the first days of December. If you wait until the e-shop opening (and I don’t have an opening date yet), your order will go out later and your chances to get PROJO in time for the beginning of the new year are slim. Ok, this won’t give you any advantage for yourself. But this pre-orders campaign are a big step for me: the benefits will help me invest in some awesome printing and binding equipment to take my PROJO adventure one step further. 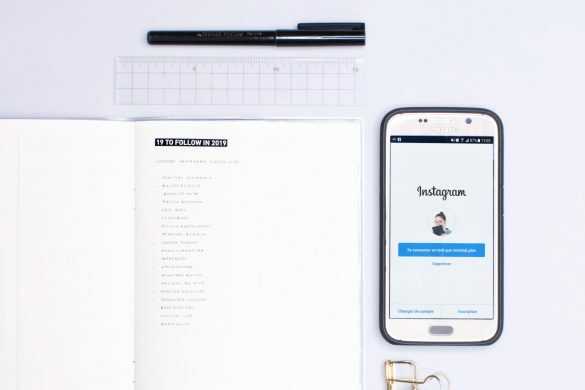 It will also help me to keep up with the blog and sharing quality content about organization and planning. I don’t make any money with the blog, and PROJO is also a way to make my work for the blog sustainable. So yes, it actually doesn’t change anything for you, but if you like the free content I create for the blog and on Instagram, just know that each order or small pledge helps me a great deal! I think this is it! But if you have any further question, feel free to drop them in the comments! I’d be happy to answer them. 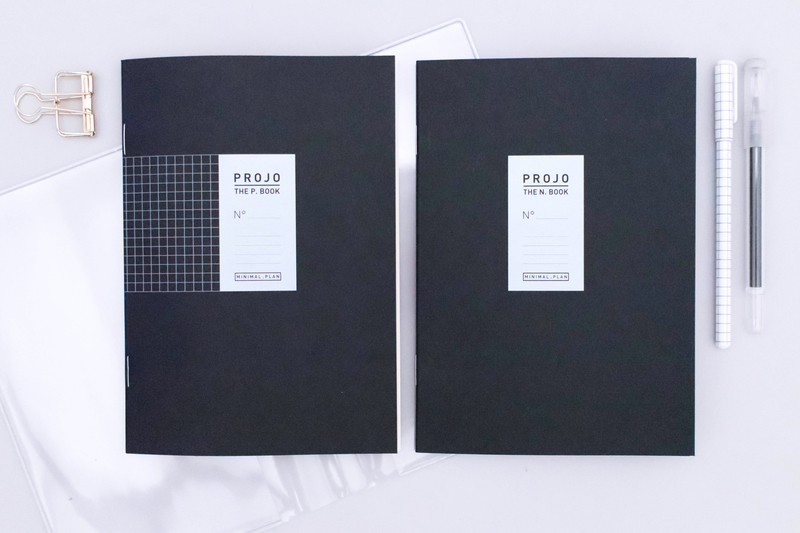 And now that you know everything, head over to the Kickstarter page to pre-order your PROJO!